A BRITISH expat charity has launched fresh appeals for missing expats around the world. As part of its Home For Christmas campaign, the Lucie Blackman Trust has launched a daily appeal for a different missing expat throughout the month of December. Missing Costa del Sol expats Amy Fitzpatrick and Lisa Brown both featured within the first five days of the appeal. 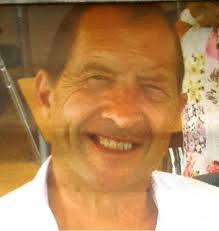 As did missing 63-year-old John Wright who was last seen in July in Alicante. “Most of us will have been touched by the sad reality of a missing person at some point in our lives,” a spokesman told the Olive Press. Providing families with information and advice, the Lucie Blackman Trust is commissioned by the UK’s Ministry of Justice and the Victim Support National Homicide Service. Latvian Agnese Klavina was last seen leaving Aqua Mist nightclub in Puerto Banus in September 2014. CCTV footage showed the 30-year-old getting into a car with Marbella-based British expats Westley Capper and Craig Porter. Scottish expat Lisa Brown, 32, was reported missing on November 9 after she failed to pick her son up from school. Living in Guadiaro, Lisa was reportedly dating Brit Simon Corner who has also gone missing. 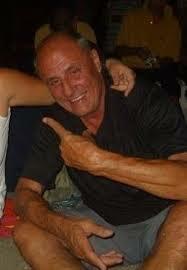 Former El Dorado actor John Leach is still missing after leaving his Mijas home on August 21, 2012. John, 65 at the time, was supposed to attend a wake on the day he disappeared. Briton John Wright was last seen on July 2, 2015 in Orba, Alicante. His family are extremely concerned for his welfare and describe him as extremely ‘vulnerable’. Brit Robert Golden went missing in November 2012 after failing to return to the UK following a solo hiking trip around Andalucia. A sighting of Robert was reported in January 2013 in Sabinillas. Scot Jon Edwards disappeared from his home in Lagos, Portugal in September 2014. Police believe the 31-year-old may have skipped the border into southern Spain. Two days before his disappearance, Jon knocked himself unconscious after getting drunk at a party and falling down a hill. Missing British man Tim Beardsley disappeared from his home in the UK in July 2012. A potential sighting of him in Malaga in 2013 led to an investigation to find him in Spain. 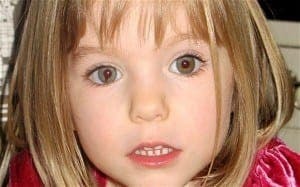 Missing since 2007, Madeleine is the most heavily reported missing-person case in modern history. Last seen on May 3, Madeleine disappeared from her apartment in the Algarve, Portugal. Many possible sightings have been reported in both Spain and Portugal, with the last in Nerja in October 2014. On March 10 2007, seven-year-old Spaniard Yeremi Vargas disappeared from his home in Gran Canaria. The only suspects ever questioned were two convicted Scottish paedophiles in 2014.